No extension cord is long enough to reach another planet, and there’s no spacecraft charging station along the way. That’s why researchers are hard at work on ways to make spacecraft power systems more efficient, resilient and long-lasting. 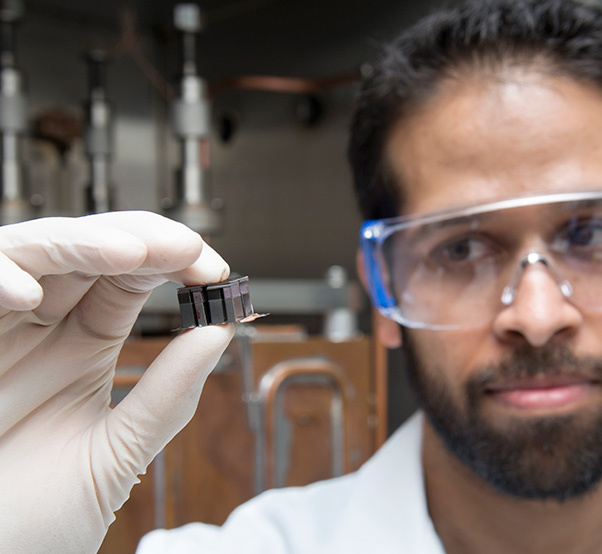 Samad Firdosy, a materials engineer at JPL, holds a thermoelectric module made of four thermocouples, which are devices that help turn heat into electricity. Thermocouples are used in household heating applications, as well as power systems for spacecraft. In Curiosity’s power system, the Multi Mission RTG (MMRTG), 768 thermocouples encircle a central can-like structure, all facing the same direction towards the heat source, at the center of the generator. The enhanced MMRTG (eMMRTG) would have the same number of thermocouples, but all would be made from skutterudite material instead of the alloys of telluride currently used. 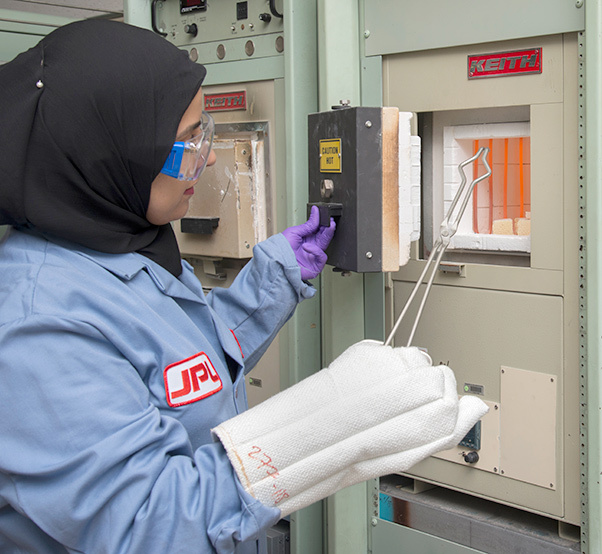 Sabah Bux, a technologist at JPL, is shown using a furnace in her work to develop thermoelectric materials, which convert heat into electricity. JPL’s work to develop higher-efficiency thermoelectric materials is carried out in partnership with the U.S. Department of Energy (DOE), Teledyne Energy Systems and Aerojet Rocketdyne, and is funded by NASA’s Radioisotope Power System program, which is managed by NASA Glenn Research Center in Cleveland, Ohio. The spaceflight hardware is produced by Teledyne Energy Systems and Aerojet Rocketdyne under a contract held by the DOE, which fuels, completes final assembly and owns the end item. Caltech manages JPL for NASA.